Frank Brault | all galleries >> Galleries >> Eclectic > Viewing the sea from a swing. Viewing the sea from a swing. 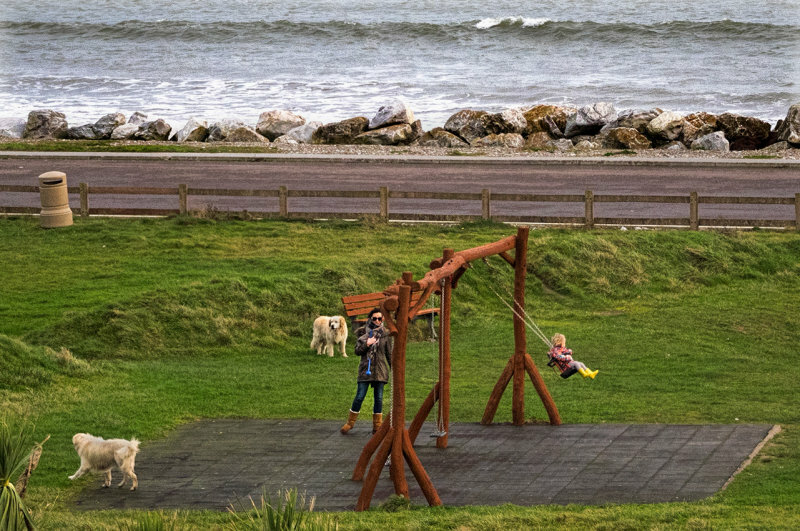 Nice with the dogs, and a beautiful swing in an excellent location by the sea, fabulous composition! v.